Fred Kirschenmann, a longtime national and international leader in sustainable agriculture, shares an appointment as Distinguished Fellow for the Leopold Center for Sustainable Agriculture—a research and education center at Iowa State University in Ames. 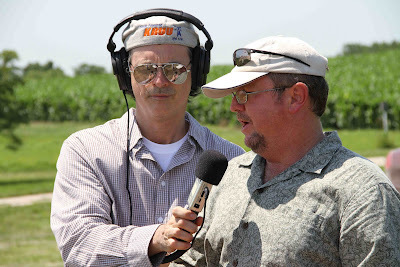 This week’s broadcast also takes listeners on a walking tour of Iowa State University’s Hort Farm, north of Ames. NEXT WEEK: Follow the journey to Dubuque for a Dream Green visit with Mayor Roy Buol and sustainability coordinator Cori Burbach. Learn about Iowa’s oldest city which just received the Governor’s Environmental Excellence Award for their Sustainable Dubuque initiative.